Tuesday is National Chocolate Milk Day and it's probably one of the most delicious ways to get all your important vitamins and minerals. But if you are counting calories, not all chocolate milk is the same, the CDC says. The Chocolate Bar offers you the golden ticket to every kind of delectable treat! 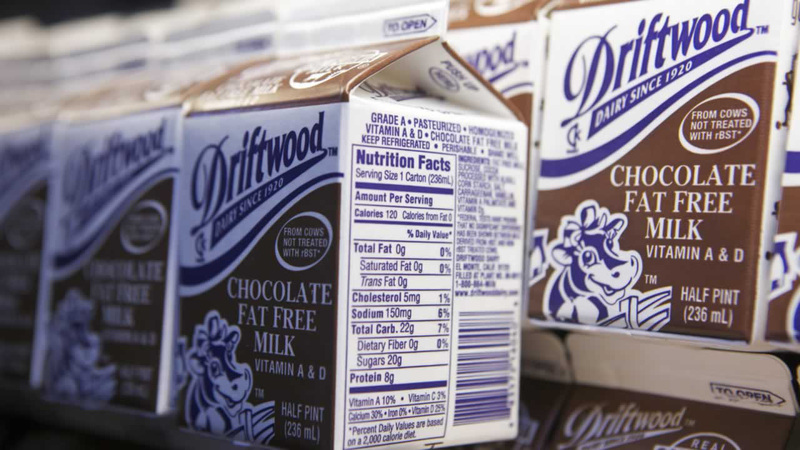 Make no mistake, The Dairy Council says you can get all the major nutrients of unflavored milk with a cool, creamy glass of chocolate milk. That glass includes calcium; vitamins A, B12, and D; potassium; phosphorus; magnesium; protein; riboflavin; and niacin, all important building blocks for a healthy body. If you're going to enjoy a glass today, the CDC cautions you should choose low or fat-free milk. An 8-ounce cup of whole chocolate milk packs on 208 calories onto your daily intake. With 2% reduced fat milk, you're looking at 190 calories. But, if you really want to savor that rich chocolate goodness, a cup of 1% low-fat chocolate milk will cost you 158 calories. Make sure to read product labels. If you use an instant mix or syrup, totals will vary.